The Colombian Congress reaffirmed its position in favor of a "political, fair and lasting" solution to the Sahara issue on the basis of the Moroccan autonomy plan, while condemning the "inhumane practices" inflicted on the populations sequestrated in the Tindouf camps. As someone who has closely followed the Western Sahara conflict for the past twenty years, it is apparent to me that the United States has only two choices to address the issue. Either it can maintain the status quo, as it has pretty much done since 2008 (i.e. 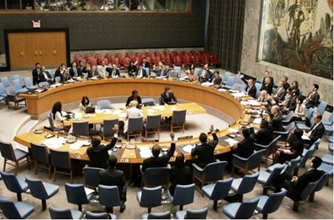 The United Nations Security Council extended, on Wednesday with the majority of its members, MINURSO's mandate for six months until April 30, 2019, reaffirming anew the pre-eminence of the Moroccan autonomy initiative to resolve the artificial conflict over the Moroccan Sahara. The United States reiterated, Monday in Washington, that the autonomy plan for the Sahara is "serious", "realistic" and "credible", stressing that it can satisfy the aspirations of the populations of the Sahara "to manage their own affairs in peace and dignity". The Andean Parliament unanimously expressed full support for Morocco’s initiative to grant autonomy to its southern provinces as a lasting political solution to the regional conflict over the Sahara. The Brazilian Chamber of Deputies adopted, Wednesday unanimously, a motion in support of the Moroccan autonomy initiative for its southern provinces and of the Kingdom's efforts to reach a political solution to the artificial conflict over the Moroccan Sahara. Morocco’s autonomy plan represents “a basis for negotiation” to reach a final solution to the conflict over the Moroccan Sahara, said the Committee on Foreign Affairs at the Swedish Parliament (Riksdag). The United States reiterated, Wednesday, that the autonomy plan in the Sahara is serious, credible and realistic, in a response by the Department of State to MAP. Jean-Yves le Drian, French Minister for Europe and Foreign Affairs, received in Paris, Horst Kohler, United Nations Secretary-General Personal Envoy for Western Sahara. King Mohammed VI of Morocco reaffirmed on Monday that no settlement of the Sahara issue is possible other than within the framework of the Kingdom’s full sovereignty over its Sahara, and within the autonomy initiative. Professor Stephen Tomblin of the University of Newfoundland, St. John's in Canada, said that the Moroccan Autonomy Initiative is a "serious and credible" proposal that aims to “find a new compromise to a destructive conflict that has lasted too long”. 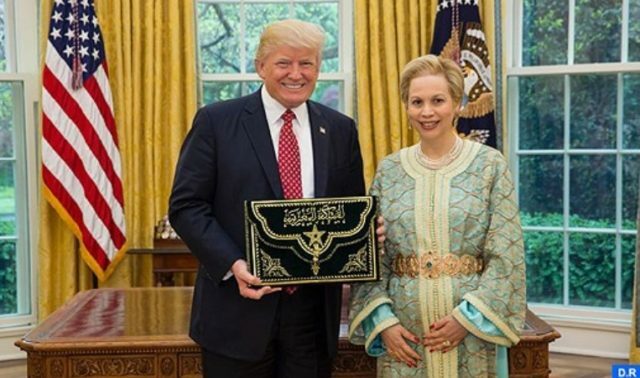 United States president Donald Trump signed a fiscal law on Friday, approved by the US Congress, which allows Morocco to use funds allocated to the kingdom in the Western Sahara.